Stressed about your student loans or wondering if you’re on the right track for payback? You’re not alone. According to nonprofit organization American Student Assistance, about 20 million people attend college annually, with 12 million of them borrowing money each year to cover the expenses associated with their higher education. Now tack these numbers on to the already existing 37 million people who have outstanding student loans! It’s no wonder people are stressed. If you guessed Gen Y (those in their 20s and 30s) is carrying the weight of this load, you’d be right: 30 million Millennials are strapped with student loan debt. Whether you’re about to embark on a pay down strategy or you’ve been paying down for years, read on for an overview of options and consideration that may help you determine if you’re on the right path. Standard Repayment Plan: Your payments are a fixed amount per month for up to 10 years. Under this option you’ll pay the least amount of interest. Graduated Repayment Plan: Your payments will be lower to start and will increase every few years for up to 10 years. You’ll pay more interest in this option than in the standard repayment plan. Note: The above are good options if your income is reasonable in relation to your loan balance. The below options are all meant to make your loan payments more affordable. Extended Repayment Plan: This plan allows smaller fixed or graduated payments letting you pay off your loan in up to 25 years. Pay As You Earn: This is a plan that went into effect December 2012. It’s designed to help students who have just graduated and are entering a tough job market where wages are lower. If you qualify, this program caps monthly loan payments at 10% of discretionary income. This option can help ease cash flow strain for individuals who qualify, but be aware that this will stretch out the amount of time you’re paying back your loan and may increase the overall interest you’ll pay. 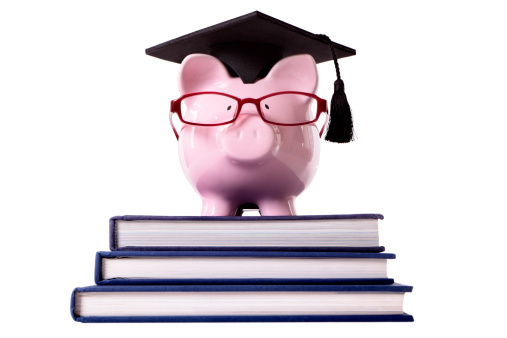 Income Based Repayment: Also known as IBR, this program aims to keep monthly payments affordable. Payment caps are based on how much money you make and the size of your household, but are limited to 15% of discretionary income. For some people, any remaining unpaid balances after 25 years may be forgiven. Public Service Loan Forgiveness: PSLF plans are for employees in the public sector who have federal student loans (think government jobs or positions with nonprofits). You have to meet the employment requirements and make qualifying loan payments for 10 years – and then remaining student loan balances are forgiven. Get qualified. Do some research and figure out which of the above options you qualify for based on your loan balances and income. Tackle and pay off the loans by interest rate. Start with the loan that has the highest interest rate and go from there. The higher the interest rate, the more it’s likely costing you. Prioritize your spending. Go back to the basics with budgeting and focus on basic living expenses, savings, and debt repayment. You might need to cut some fun things for a while in order to put your money where it really matters. Would it really be that bad to eat out less frequently, spend less on alcohol, or have a few more movie nights? Hustle. As GenYers, we’re a smart, talented, and skilled set of individuals. Put those qualities to work by establishing a side income. Contract your services out, consult or getting creative by selling some art online. Putting extra earnings each month towards your debt will go a long way toward helping you save money in interest. Dealing with student loans isn’t fun, but it’s important to understand how to handle it and how to pay if off as quickly as possible. The above programs can change at any time and it’s up to you to track your loans and any repayment program that you’ve enrolled in. Empower yourself with knowledge and be actively involved in repayment. Want more info on taking control of your financial life? Get on the Insider List for access to 9 Steps to Workable Wealth.